Each ticket code received by invitation is good for the purchase of two General Admission event tickets. No other ticket items require a promo code for checkout and can be purchased at any time. The PEX Summer Festival is a multifaceted, multi-dimensional music & art celebration! We will be uniting for three days of amazing music, art, education, participatory shared experience & conscious connection on 200 acres of private land. Amenities and features include Multiple Stages, Swimming Pool, Ropes Course, Fire & Drum Circles, Catered Meals, Cabins, Tent & Car Camping and Sport Courts. This year, to celebrate and recognize the participants and lifeblood of the entire PEX community, we will be gathering for a more intimate collective experience. For this reason, PEX SUMMER FESTIVAL WILL BE BY INVITE ONLY. Each ticket code received by invitation is good for the purchase of two event tickets. No other ticket items require a promo code for checkout and can be purchased at any time. PEX Summer Festival wants your workshop offering. 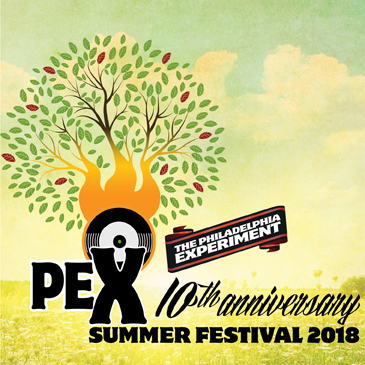 From now through April 1st, the workshop & lecture application process is open for all who wish to share those special skills with the PEX Summer Fest community. We’re looking for passionate, talented people to lead workshops or lectures in dance, exercise, music, healing arts, crafts, knowledge sharing, movement arts, fire arts, hair styling, drumming, acrobatics, yoga of all types, or anything else. While all are encouraged to apply, we are particularly intrigued by those who have a history of holding workshops and those interested in teaching multiple times during the weekend. PEX Summer Festival is a participatory experience. Art is desired in every dimension! Bring your ideas, innovations, unique visions and creativity and help us to explore the depths of who we really are! We are inviting artists, performers, sculptors, musicians, dancers, builders, and creative people of all types! PEX Summer Festival is pleased to announce the availability of art grants intended to help defray the costs of materials and transportation related to creating and presenting works of art at the PEX Summer Festival. Bring the cabin magic and be a part of the main action from ArtCabin™ Row! - on the official Summer Fest PEXplanade. There are 16 cabins available in this location. Join our mailing list below to keep updated with PEX Summer Festival Announcements. Make PEX Summer Festival YOUR festival and help get the word out to the rest of our Phamily by word of mouth, or bringing a friend. They betta’ recognize! Let them know what an amazing experience PEX Summer Festival is and we want them to join us and share the LOVE and excitement! Get the word out! Please invite your friends and post. General Admission Festival Pass includes all entertainment and on-site tent camping. Cabins, Meal Plans, Car Parking, Car/RV Camping and RT NYC Bus tickets are additional to individual admission tickets.
. Children 8 years of age and under can attend the event only accompanied by a parent or guardian and are free. Leave from Brooklyn and Manhattan. NOTE: ALL numbered cabins (the ones along the main road of the festival) – will be designated as ArtCabin™ Row. Individuals/groups securing a numbered cabin along this road will need to also submit a proposal of funky intent. This means we just want to know what your plans will be to trick out the exterior of your cabin, so that we may plan for you. Think of ArtCabin™ Row as the PEXplanade of SummerFest. Five meals are included in the meal plan. Brunch & Dinner will be served in the dining hall buffet style starting Friday evening. Please note you will need a pre-printed shipped ticket or Print@Home printout with your unique printed ticket bar code. This will be required to enter the event or claim any reservation. Digital copies on mobile devices do not always work so it's safer to come with a printed copy. Receipts will not be accepted as they do not contain a ticketing number - don't forget your bar coded ticket(s)! PEX SUMMER FESTIVAL DOES NOT MAIL PRINTED TICKETS. PLEASE BEWARE OF COUNTERFEIT TICKETS. Treat your pre-printed shipped tickets like cash on hand. We are not responsible for lost or stolen tickets. They will not be refunded or replaced. Tickets are not refundable, however they are transferable. Take care in printing and storing your Print@Home tickets. If you receive a ticket from someone else make sure it is a reputable and reliable source. Duplicate tickets will NOT be honored. No tickets will be sold at the Gate. Contact SeeTickets directly for ANY ticketing issues. You can email them or call them on their 24 Hour Customer Support line. They are good peeps and they are happy to help you resolve any ticketing issues you may have including accessing your account and/or reprinting your Print@Home tickets.